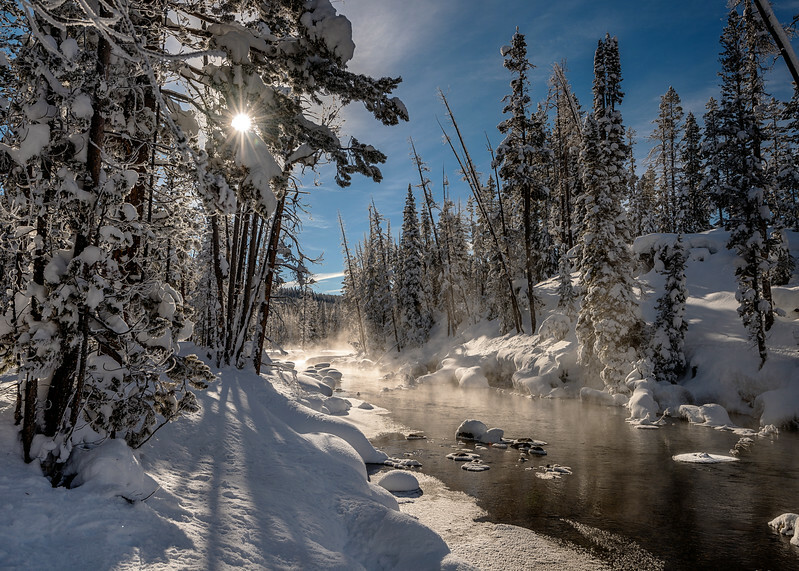 I have always wanted to follow Redfish Lake Creek in the winter. In the last it has been difficult with skies on, they would get tangled in the underbrush and when carrying a camera and tripod it made it even more difficult. This was the first year that I strapped snowshoes onto my pack. So I switched from my skies to snowshoes and walked almost a mile upstream which is where I found this scene. The tree bows were filled with snow and the mist from the creek coated the branches frosting everything. It was like being in a different world. My wife first saw this scene and she saw a Christmas Card cover.